As people moved around the llanos, or prairie region of Colombia, we have attempted to use those contacts to establish new churches. Nearly ten years ago now we began to have Bible studies with a family that had moved to Puerto Lopez from the Palmera church. Through these Bible studies we began to develop contacts in that village and after a couple of years we decide the time was right to begin having Sunday services. In those early years a preacher from a nearby village would lead the services. The problem was sometimes he was not able to make it. We tried sending different people from Villavo but that meant there was no consistency. 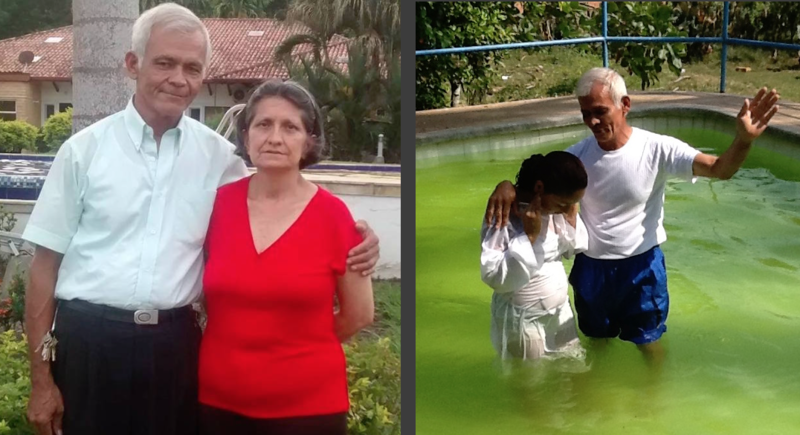 Then Gustavo Amaya, one of the elders in the Villavicencio church offered to take the leadership of the new church. He began traveling down every Saturday to visit and to do evangelistic calling. Martin Sanders often would make the trip Sunday after church to help him and I did the same when in Villavo. Soon we have a decent team established with Gustavo heading up the effort and giving continuity. Slowly the church began to grow. We moved from a member’s front room to a rented facility. Then about five years ago one member of the church offered to sell their house and the lot to the church at a very significant discount. The church in Villavo encouraged members to buy a square foot of the lot and in that way money was raised to purchase the lot. We began the slow and arduous process of building a church building on the property, first removing the dilapidated hut that had been home to the family that lived there. It was slow work as the lack of funds meant we could only work little by little. Work crews would go down from the Villavo church each time money was available and we would make a bit more progress. Then we received a significant donation in the will of a former work crew member who chose to leave that legacy. With those funds we were able to complete the sanctuary and and shield the congregation from the blowing rain and brutal tropical sun. Growth has been slow and steady but now we are working to develop the local leadership with the goal of making the church fully autonomous. Some of the young people are learning music so as to play the keyboard and we now have local Christians teaching the Sunday School. We had a setback when one of our promising new leaders was killed in a construction accident. But in spite of setbacks, the Lord has blessed the work and it has continued to move forward. We continue to be a part of that ministry by helping as we can in the area of visits and teaching and also in construction projects as the building slowly moves forward. Our goal is to have the church functioning under its own leadership within the next few years at which time we will shift to a support and training role. 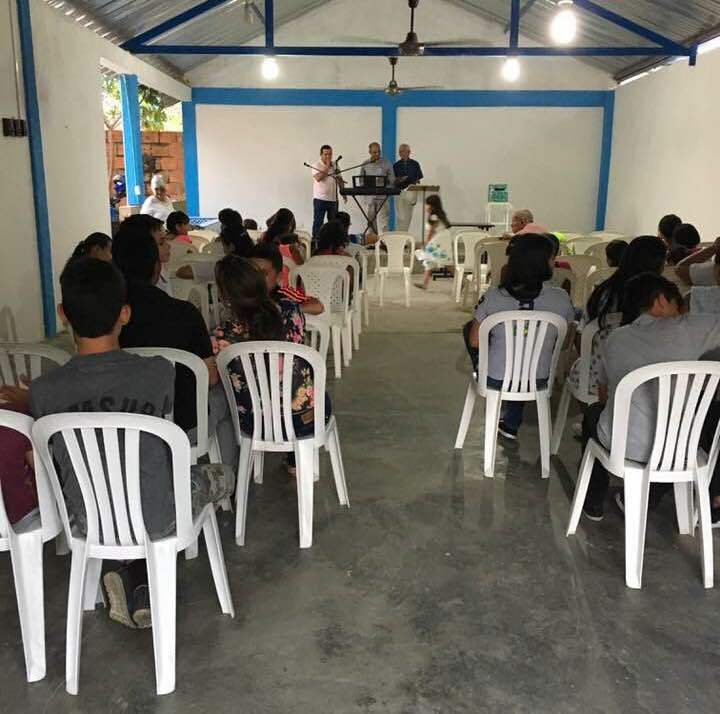 Church planting and winning more people to the Lord is always our primary goal in all of our work here in Colombia and the Puerto Lopez church is a fine example of that vision!